Twelve acres at the former Alameda Naval Air Station to be redeveloped by the Housing Authority. The Housing Authority is set to receive 12 acres of land at the former Naval Air Station (NAS) Alameda from the U.S. Navy. 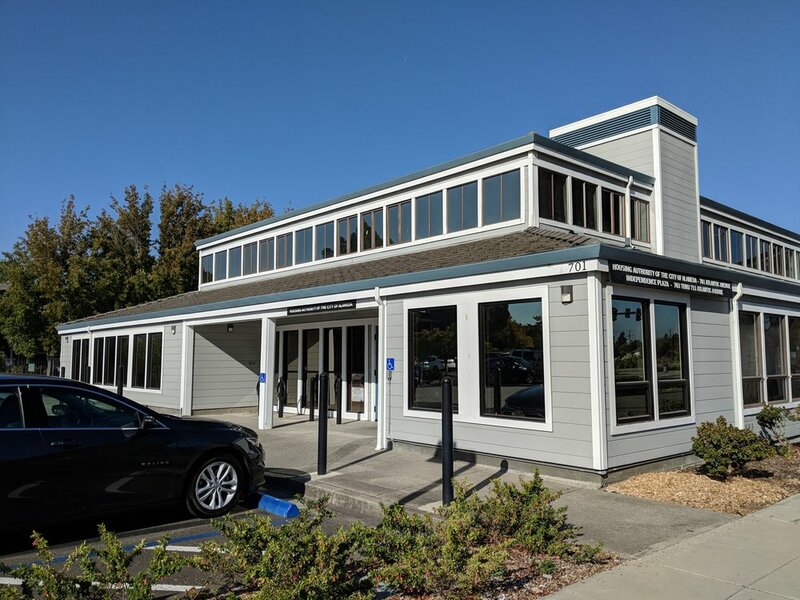 As part of the base reuse process, AHA and partners Building Futures and Alameda Point Collaborative submitted a successful application for a homeless accommodation at NAS Alameda. The Navy approved the land transfer to AHA with the requirement that 90 units of permanent supportive housing for formerly homeless households are built on the property. AHA plans to build up to 489 units of housing over the entire site, of which permanent supportive housing is one part, and is currently undertaking a master planning process to redevelop the 12 acre parcel which was formerly Coast Guard housing. This redevelopment project is in the early stages and No applications are available at this time. The Housing Authority has developed a community meeting schedule that allows members of the Alameda Community to provide input on all elements of the master planning process at North Housing. The North Housing site has a lengthy history, one which the Housing Authority looks to honor while moving forward with redevelopment. Do you have questions or would you like to provide input to the Development Planning process? Please reach out!